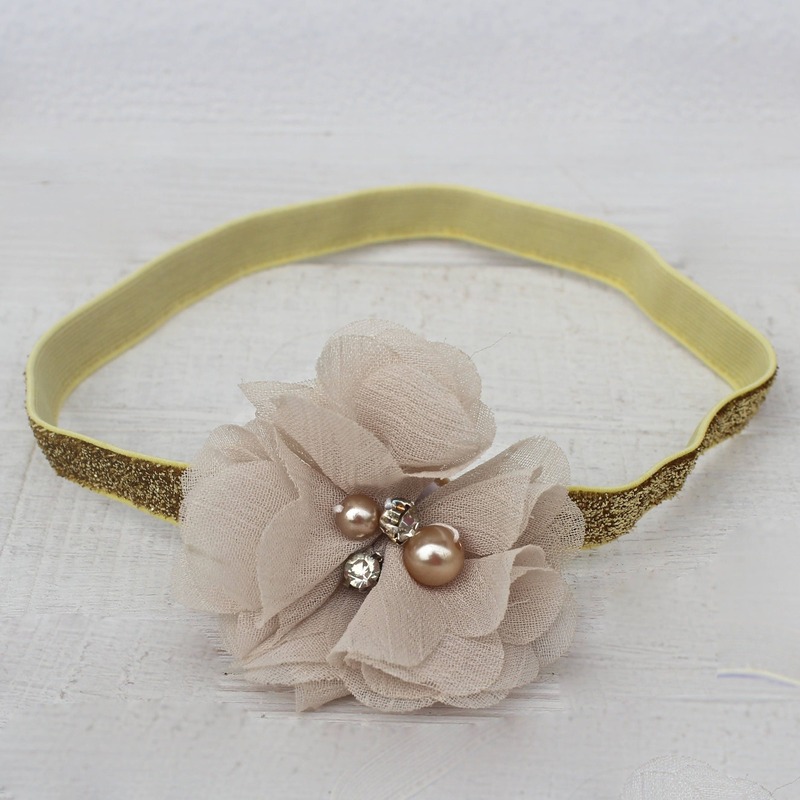 This Flower Headband features a tan flower topped with a rhinestone and pearls. 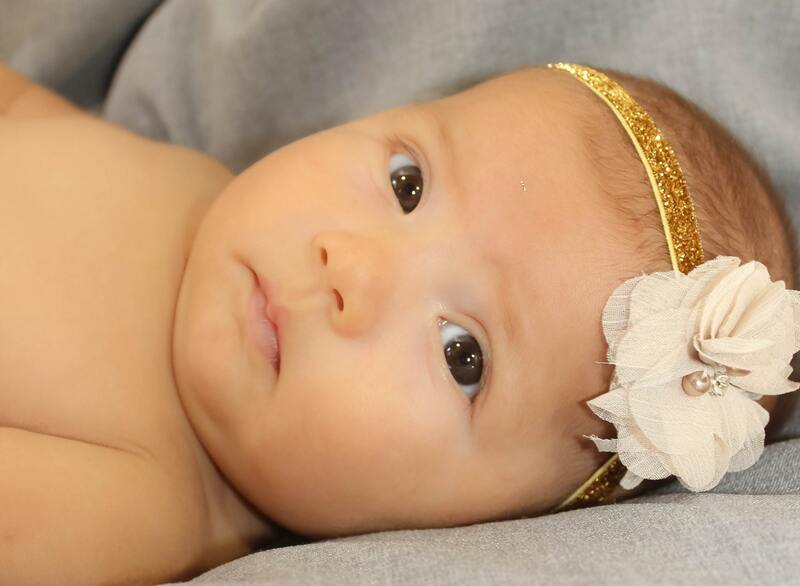 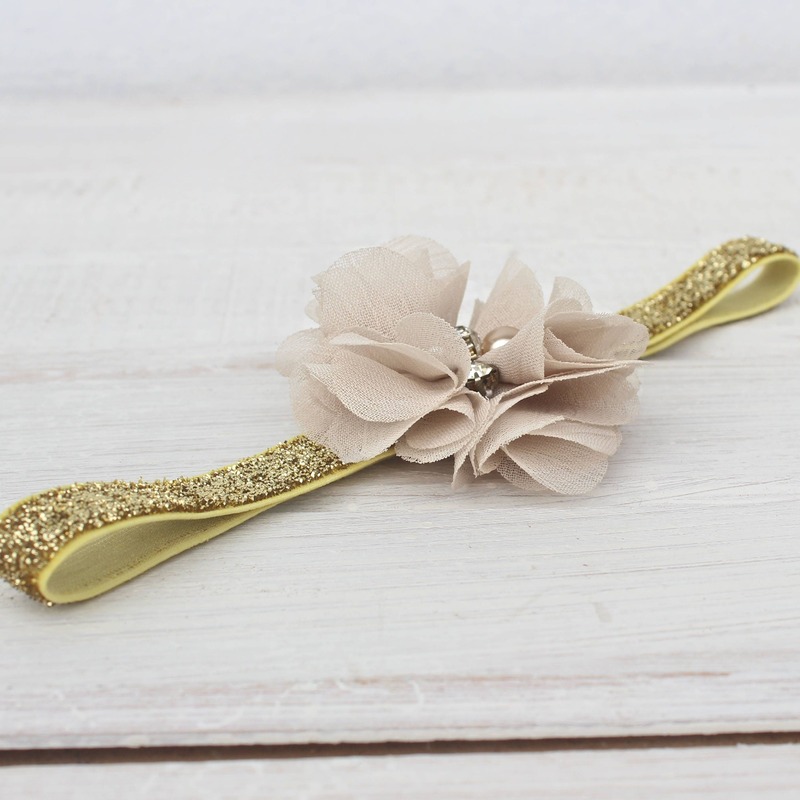 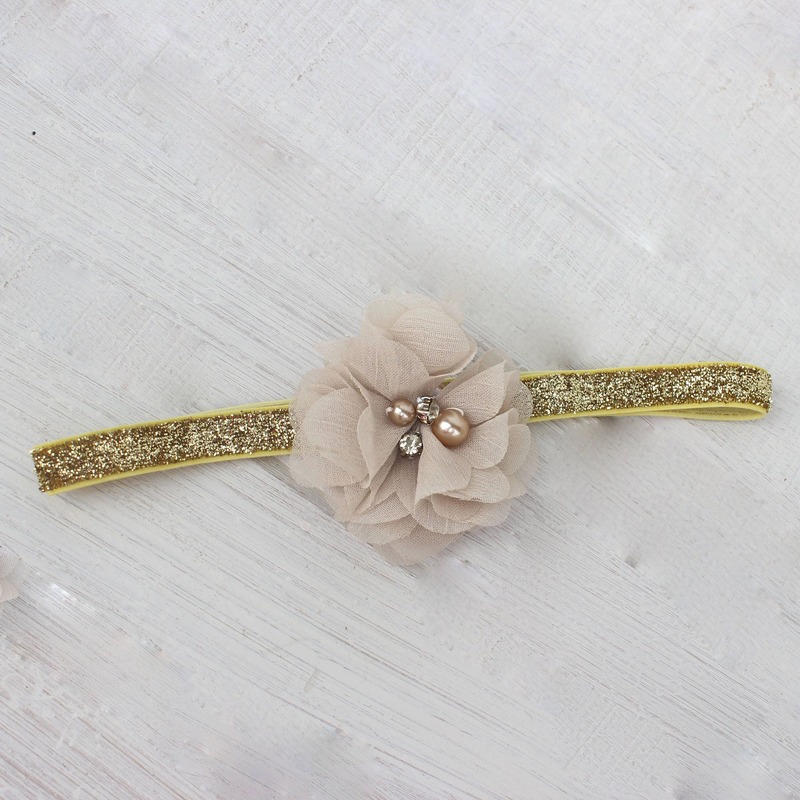 The flower is felt backed for comfort and sits on top of a soft matching sparkling gold elastic headband for a perfect fit. 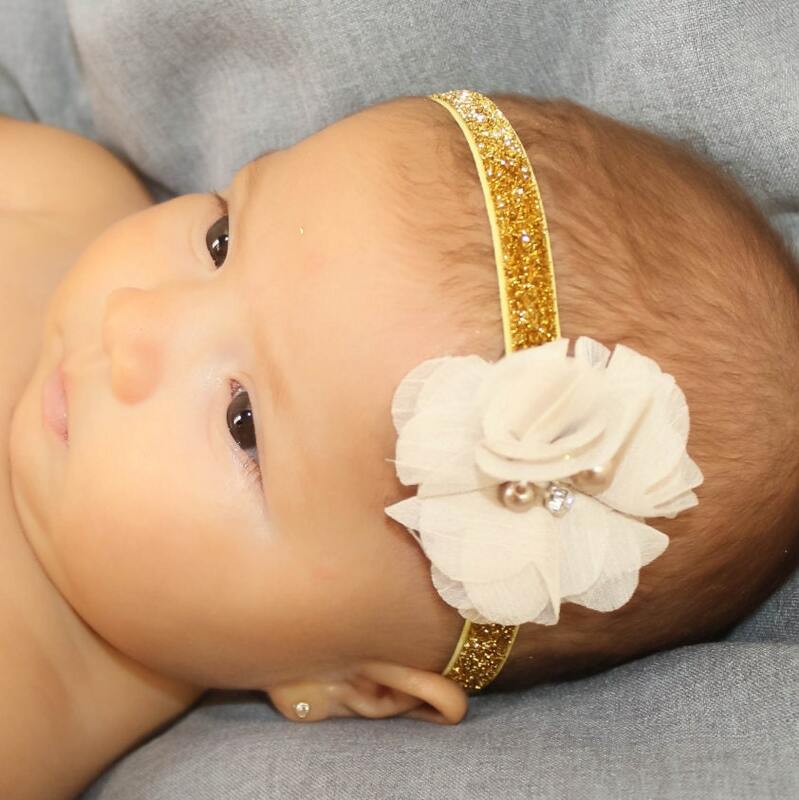 Took a while to arrive, however, Faviola did ship it the next day so it wasn't her fault, but it's absolutely adorable and looks so cute on my little girl. 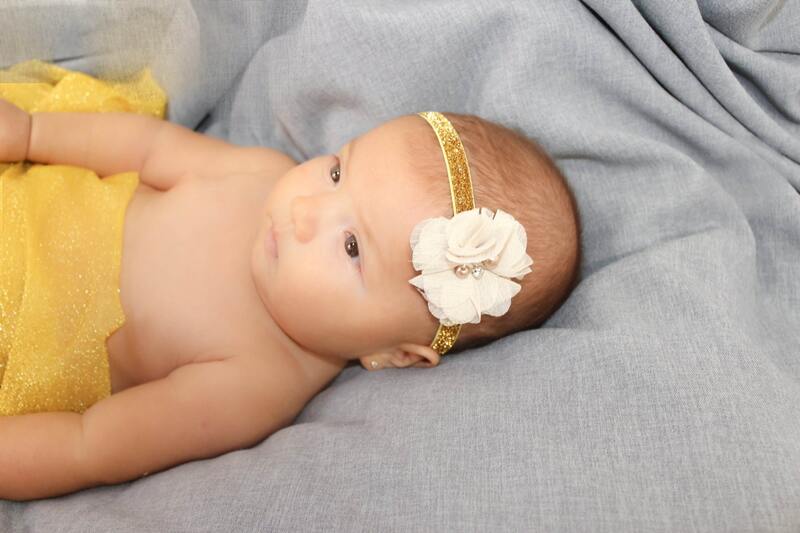 She is just over 3 and a half months (ordered 3-6 months) and it fit her perfectly. 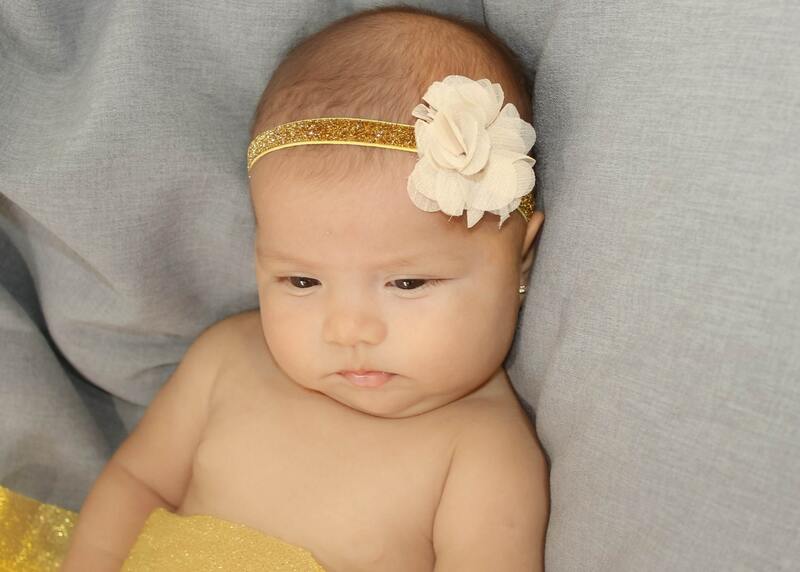 Thank you Faviola!